Twin River Casino in Lincoln, R.I.
With the major promotions, including the UFC and Bellator, taking the week off, the spotlight will be on the AXS TV broadcast of CES MMA 45 on Friday night. The card features two competitive title fights, but lightweight fighter Nate Andrews is perhaps the one fighter here with the best chance to parlay a win into a major-league contract. Andrews meets veteran fighter Bruce Boyington. The 33-year-old Andrews has spent much of his career in the CES organization. After a 5-2 run as an amateur, Andrews turned pro in 2012 and debuted at CES MMA 11. He went on a six-fight tear that included five victories under the CES banner. 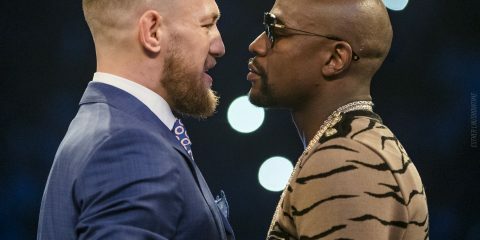 Four of his victories during this stretch came in the first round, including two knockouts that came within the first minute of their respective contests. Andrews finally stumbled in 2014 when he suffered a decision loss to Gemiyale Adkins. 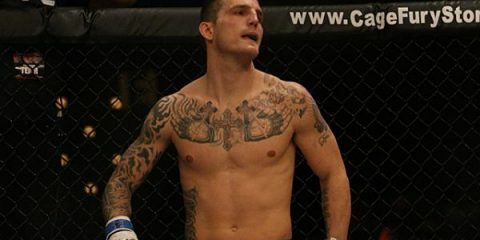 The New England Combat fighter responded with two knockouts and two submissions to bring his win tally to 10. Along the way, Andrews has defeated the likes of Jeff Anderson, The Ultimate Fighter seasons 16 and 25 alum Julian Lane and veteran journeyman George Sheppard. 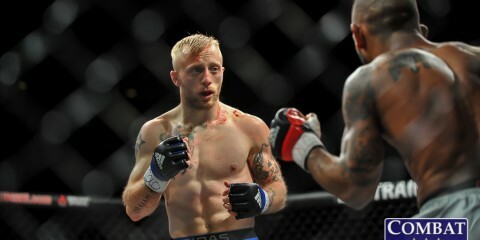 Boyington enters this fight after a brief stint in the national spotlight with the World Series of Fighting, which has since changed its name to the Professional Fighters League. 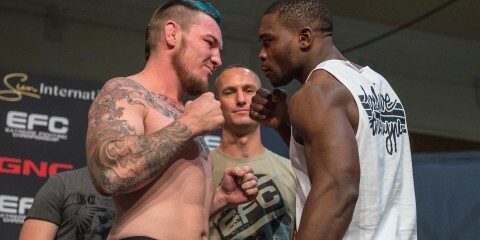 The 38-year-old went 2-1 overall with the WSOF, but his split-decision wins over Rodrigo Almeida and Saul Almeida and his submission loss to stud prospect Andre Harrison appeared on the preliminary card of WSOF events. 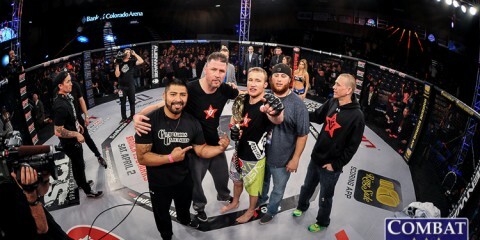 Outside of the WSOF, Boyington has spent a lot of time in the NEF and CageFX promotions. The “Pretty Boy” claimed belts in both regional leagues, but he has struggled to find consistency. Boyington, who boasts a taekwondo background, has won as many as five fights in a row, but he’s also lost as many as three contests in a row. His most notable victories came against the aforementioned Rodrigo and Saul Almeida. While he clashed in losing efforts against the aforementioned Harrison and Musa Khamanaev, he’s also dropped fights to opponents with sub-.500 records, including the 1-4 John Raio. He also suffered a debut loss to Bellator veteran Rick Hawn. Boyington’s early troubles can be attributed partly to a struggle with addiction, but he’s hardly ever posted a great showing against a high-level prospect. 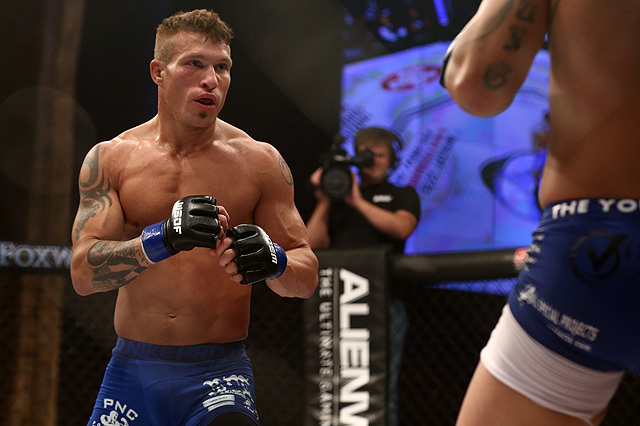 The WSOF vet has also delved into a pro-boxing career that has netted him a 1-0 mark with one no-contest to accompany his unanimous decision win over fellow debuting boxer Nate Charles. The Young’s MMA export has eight knockout victories and just on submission win, but he’s also suffered one knockout loss and eight submission defeats. Andrews enters this fight with five wins via strikes and five submission finishes. His only trip to the scorecards ended in his only loss. While Boyington carries more experience to the CES cage, he’s hardly an intimidating opponent overall. Andrews is likely to focus on Boyington’s weaknesses in the grappling and submission-defense departments. If Andrews can get the fight to the ground and keep it there, he should be able to exploit the holes in Boyington’s game and tack another submission loss onto his record. 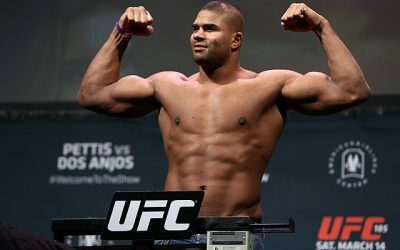 It’s no secret that the heavyweight division is among the most shallow weight classes in the sport of MMA. Many of the division’s potential future stars either withered, suffered numerous injury setbacks, or simply retired. Fans are always on the lookout for new talent among the big men, which brings us to Aspera Fighting Championship 55, where heavyweight prospects Ricardo Prasel and Edison Lopes clash for the league’s vacant heavyweight title. As an undefeated fighter through eight pro outings, Prasel is the bigger prospect in this contest. He is listed as anywhere from 6-foot-7 to 6-foot-9, which will give him at least a five-inch height advantage over Lopes. “Alemão” has been a finisher his entire career. The 27-year-old has posted seven submissions and one knockout, which required just 67 seconds of work. Prasel, a member of the Alemão Brother’s Team and Gracie Gym Guarapuava camps, has handed out the first loss of a couple fighters’ careers, but this contest against Lopes signifies a huge step up to fighting successful veteran competition. The 38-year-old Lopes doesn’t have much time left to put his stamp on the MMA world. The Lion Team and Mohamed Jehad product debuted in a no-contest outing against Thiago Luz in 2012. He won his next two fights by stoppage before he was decisioned by the unbeaten (at the time) Augusto Sakai. He’s since gone on to win six of his last seven. He was submitted by Alex Coruja for his lone defeat during this stretch. His list of victims includes formerly undefeated fighters Felipe Ferreira and Leandro Xavier, as well as veterans Luis Fernando Miranda and Sandro Vieira. Lopes has secured six victories by way of knockout and two submission wins. The younger and taller Prasel looks like a promising heavyweight grappler with some striking ability. 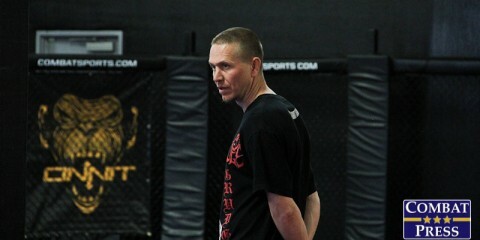 He’s fought in kickboxing and grappling bouts as well as MMA. Prasel has been knocked silly in kickboxing action, and that’s probably the best route Lopes has to victory. However, Prasel is excellent at changing levels and driving through for the takedown. Once the fight’s on the mat, Alemão tends to overwhelm the competition with his submissions. The aging Lopes stands a chance on the feet, but this fight will eventually hit the canvas and Prasel will take over and get the tap to earn Aspera’s heavyweight crown. Memorial Hall in Plymouth, Mass. Nine fights into his pro career, bantamweight competitor Manny Bermudez remains undefeated. He’s done much of his work under the Cage Titans banner, and he’ll return for the promotion’s 35th event after his appearance at Cage Titans 34 was scrapped when his opponent, veteran journeyman Joe Pearson, wasn’t cleared to compete. Bermudez is set to face WEC veteran Bendy Casimir in a featherweight contest. Bermudez went 7-1 as an amateur, suffering a submission loss to Grant Mosley in only his second fight. His amateur career launched in 2012, and Bermudez has only been fighting professionally since 2015. As a pro, he has finished seven of his nine opponents within the first round. 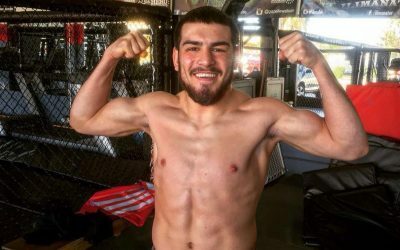 He went the distance to defeat formerly undefeated fighter Dan Dubuque and recently went to the scorecards in a notable split decision nod over Bellator and World Series of Fighting veteran Saul Almeida. Most recently, Bermudez registered a first-round armbar finish of Tony Gravely. The South Shore Sportfighting export also holds a first-round submission win over Jeff Anderson, the same Anderson that went three rounds with the aforementioned Almeida. Bermudez, who submitted his opponent in all seven of his amateur wins, is a certified finisher. His seven first-round finishes as a pro are joined by four first-round finishes as an ammy. 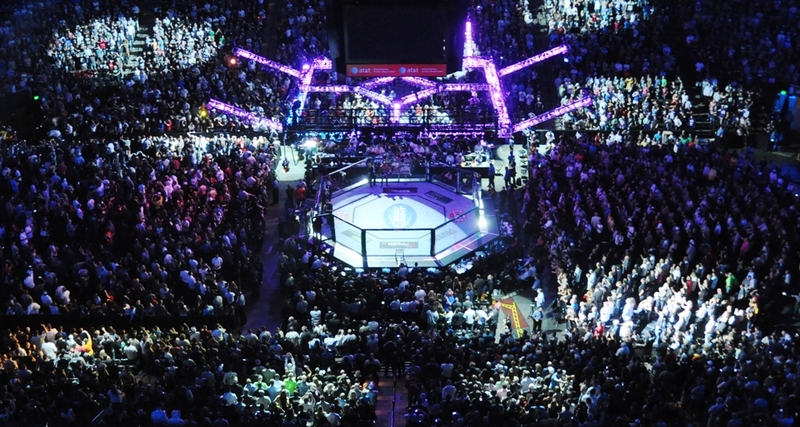 Casimir was once a member of the WEC roster, where the Drysdale Jiu Jitsu fighter suffered losses to future UFC fighters Ricardo Lamas and Erik Koch. He was already 19-5-2 when he entered the organization in early 2010. Do the math, and it’s clear he hasn’t fared well since his WEC stint began. Including the losses to Lamas and Koch, the 37-year-old has posted a horrible 1-9 mark. 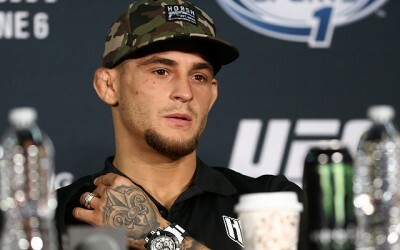 His only victory in this stretch came against Curtis Demarce, while he also suffered losses to the likes of John Makdessi, Rafaelo Oliveira, Jesse Brock, Chris Gutierrez and Josh Hill. 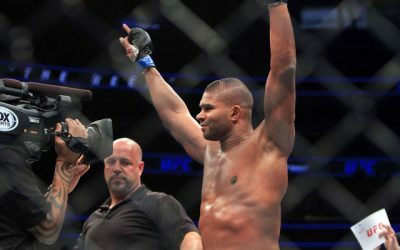 The French-born fighter actually stepped away from the sport at the end of 2010 and didn’t return until his 2015 victory over Demarce. Casimir only fought once in 2016, and this will mark his first appearance in over a year. Can Bermudez actually get a call to the big leagues already? Or at least a bump up in level of competition? 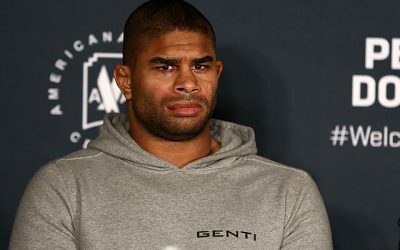 After stopping Rodrigo Almeida and Tony Gravely and decisioning Saul Almeida, his more recent slated opponents have been a guy who couldn’t even get cleared to compete (Pearson) and a guy who has had several recent lengthy absences from the sport and only carries one win over his last 10 fights. It’d be more interesting to see Bermudez against another mid-level talent, rather than a fading veteran. That said, Casimir is at least a name opponent for Bermudez to unleash upon in this fight. Casimir has tallied a double-digit set of submission wins over his career, but he stopped winning fights in 2010. If he couldn’t stay successful while in his prime fighting years, it’s doubtful he’ll re-emerge as a 37-year-old to beat one of today’s most overlooked prospects. Bermudez is a finisher who’s going up against a man who has not suffered a stoppage loss since his WEC days. That might just change this weekend. If anyone can add another submission defeat to Casimir’s record, it’s Bermudez.